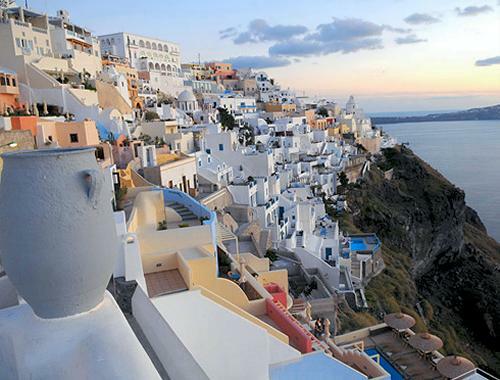 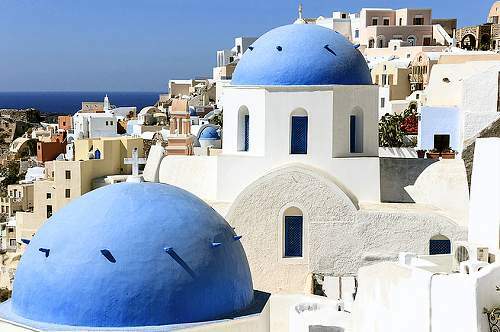 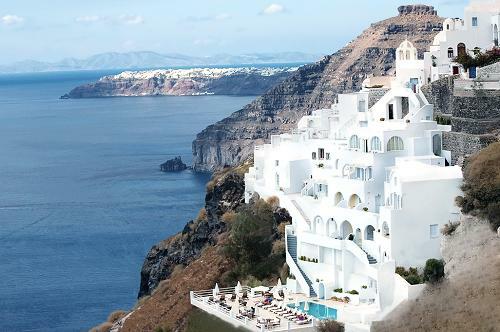 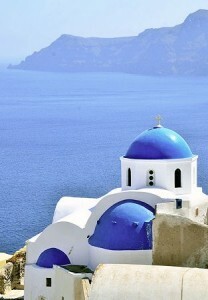 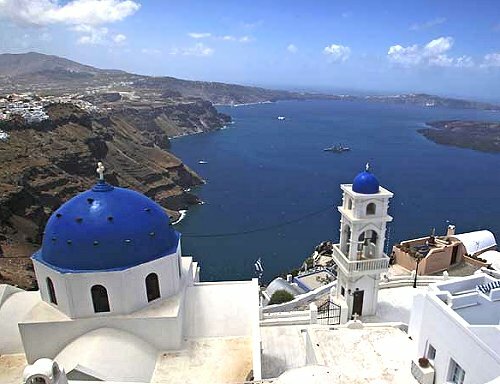 Santorini (also known as “Thira”) is quite unlike any other island in the Cyclades, thanks to its now dormant volcano. 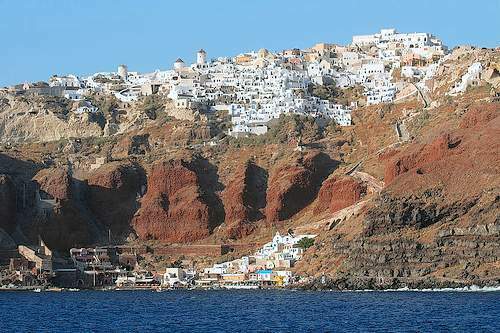 On the sheer cliffs of the island, which are “painted” in the colours of volcanic material, perch small, blindingly white houses with vaulted roofs and tiny windows. 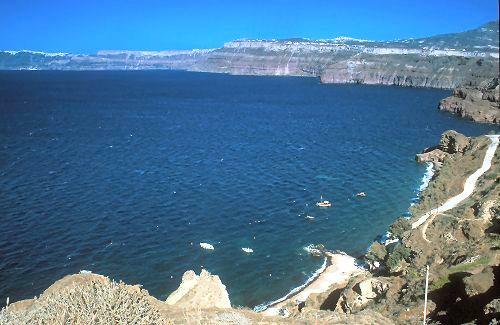 The view to the sea and the sunken Caldera is astonishing, and this is what has made the island famous. 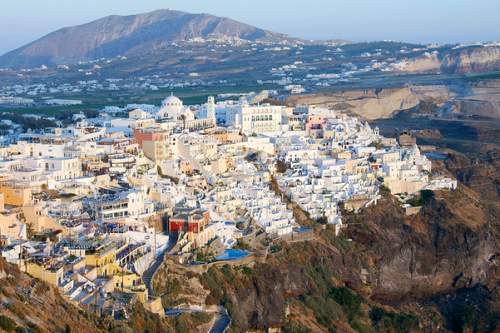 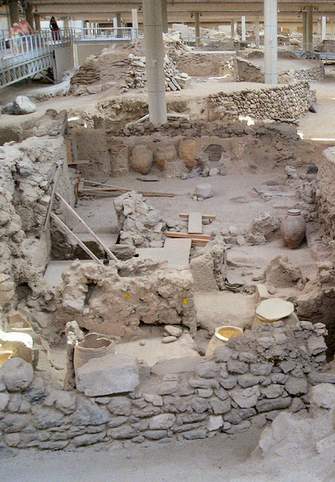 Some of the places of interest: the excavation site in Akrotiri, the ancient town of Thira, the convent of St. Nicholas (built in 1674), the medieval castle in the village of Emboreion, several mansions in the villages of Imerovigli and Messaria. 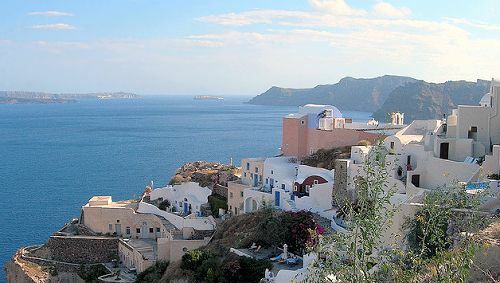 Main villages: Fira (capital), Imerovigli, Oia, Kamari, Perissa, Vothonos, Pyrgos. 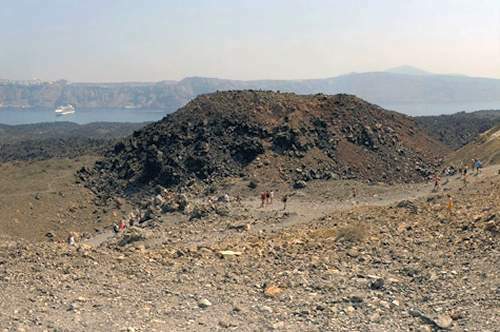 Beaches: Kamari, Perissa, Armeni, Ammoudi, Baxedes (all but one covered with black pebbles). 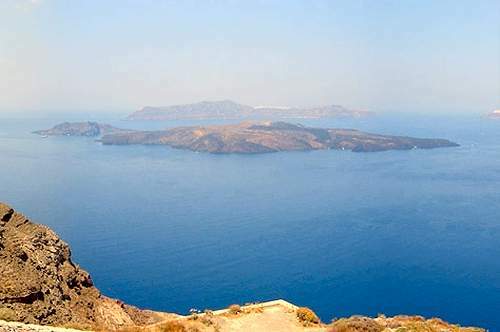 How to get there from Athens: by ferry (8-10 hours), plane (55 minutes) and catamaran (about 5 hours). 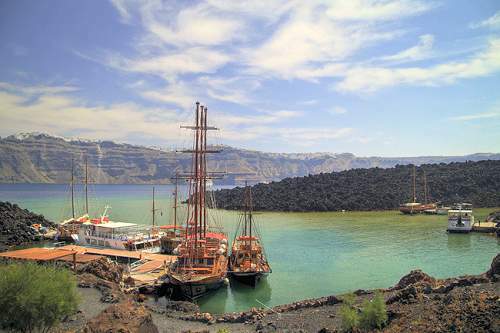 The current temperture in Santorini (Thera) is °C/°F.